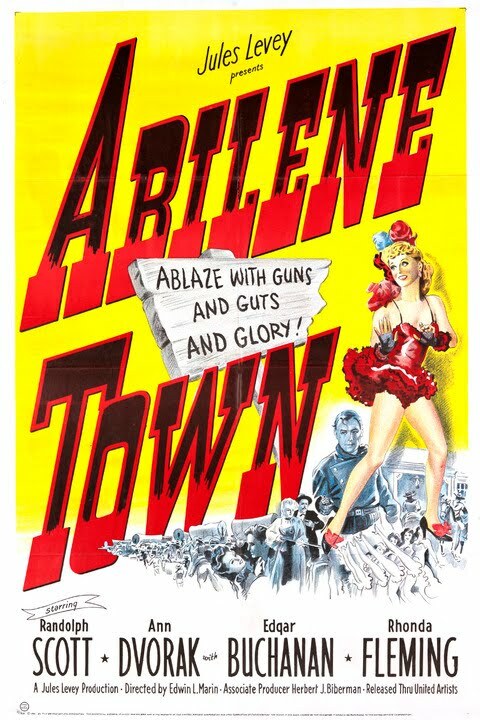 Abilene Town is a 1946 western film directed by Edwin L. Marin. The film stars Randolph Scott, Ann Dvorak, Lloyd Bridges, Rhonda Fleming, and Edgar Buchanan. The movie is set in the Old West years immediately following the Civil War, in the cattle town of Abilene, Kansas.